Edmund "Eddie" Konrad is the chef de cuisine at Laurel Restaurant in South Philly. 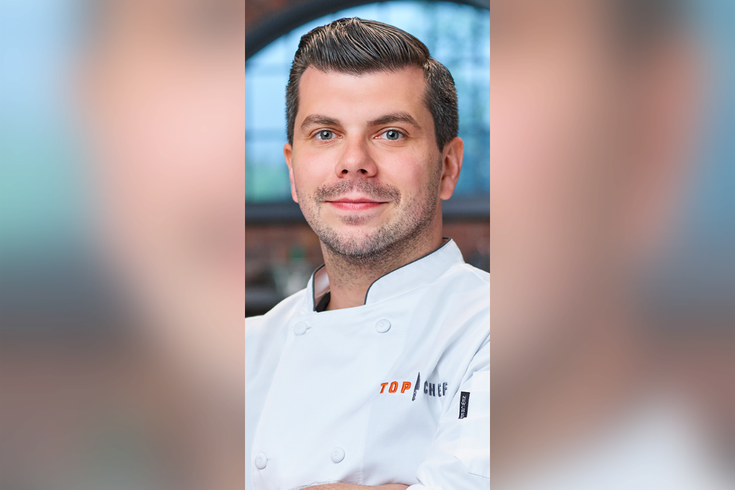 The newest season of Bravo's "Top Chef" will feature the chef de cuisine from South Philly's Laurel, Eddie Konrad. The French-inspired restaurant on Passyunk Avenue is the product of a "Top Chef" winner Nicholas Elmi, who opened the place back in 2013. Konrad was born and raised in Philadelphia and attended Mercy Vocational High School, where he studied culinary arts. He went on to Johnson & Wales University in Rhode Island. With both his French and Italian training, Konrad has worked in kitchens like Philly's own Le Bec Fin and Del Posto in New York. The new season of the Bravo cooking show premieres Dec. 6 at 9 p.m.